On 1 July 2017, Woodland Midstream successfully completed and commenced full commercial operations of its Deadwood Midstream System located in Panola County, Texas (USA). "Woodland is excited to provide a unique approach of enhanced midstream services and value creation to east Texas producers. Our success in permitting, designing and constructing a system of this scale within six months of contract execution speaks volumes to the capabilities of the Woodland team. We believe in the long-term growth potential of the east Texas and north Louisiana regions, and remain committed to this area as a focal point for our future investments," stated Richard Wright, President and CEO of Woodland. 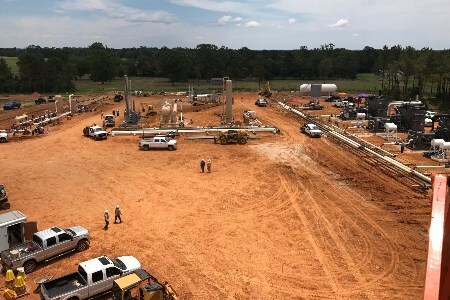 Phase I of Deadwood includes a 60 million ft3/d JT processing plant with liquids stabilisation, low pressure and high pressure gathering, and a residue trunkline dedicated to a downstream market in the Carthage area. Phase II of Deadwood will add additional processing and compression capacity, expanding Deadwood to a 100 million ft3/d facility. Phase II is expected to commence operations in the second half of 2018 based on contracted party and third party volume projections.